2014 model year Giant Anthem, size L, running 27.5 wheels. 100mm suspension all round, with a Rockshox Reba up front and Rockshox Monarch R in the back. Bike was upgraded to a 1x10 drivetrain with a 30T chainring up front and 11-42 cassette in the back. Export quality, 90% mainly export to Canada, France, Asia and now arriving in Australia. －　Shifter: 7 Speed Shimano TX30. －　Rear Deraiuller Shimano Tourney TZ500. －　Cassette : Shimano MF-TZ21. 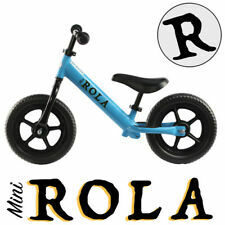 －　Pedals - Alloy (Non foldable). 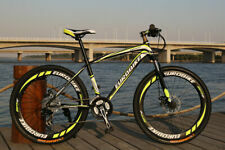 Reid Bike Shimano. Condition is Used. Local pickup only. Focus Planet Urban Size L. Condition is very good Frame size. 48cm. Sloping frame. Top Tube = 56 cm Internal 8 speed gears , well spaced Gates Carbon Drive. Clean belt drive won,t put grease on you Incl- Ritchey SPD pedals, upgraded Italian Saddle , Carbon seat pole, 2 x bottle cages , Tool bottle with spares $1800 new extras = over $2k spent. Priced to sell. Exage Sport Hubs. Exage Sport LX SIS Gear Shifters and Front and Rear Derailleurs. Exage Sport LX Cranks. Exage Sport Pedals. Tyres have plenty of tread but are cracked on the side walls. Biopace Chain Ring. LADIES BICYCLE; ALLOY HYBRID WOMEN'S BIKE; 24 SPEED; BAYSWATER,VICTORIA PICK UP. PICK UP FROM BAYSWATER,VICTORIA;. NORCO IS A CANADIAN BICYCLE MANUFACTURER. DOUBLE WALL ALLOY WHEELS,STAINLESS STEEL SPOKES. ONLY USED FOR BIKE PATH RIDES - A FEW MARKS FROM CAR RACK. SR SUNTOUR SUSPENSION FORKS,PRE-LOAD ADJUST. Rockshox recon U-turn with lockout forks variable travel, working perfect. The Urban Traveller Bike has been engineered with strong, lightweight materials. This makes it easy to carry, while also durable enough to deal with the harsh city landscape. Wanda P1159 20" x 1.5" Folding Bike Tyre. Trending at AU $169.04eBay determines this price through a machine-learned model of the product's sale prices within the last 90 days. Continental 700x35C Cyclocross Speed tyres. Minor surface abrasions and paint scuffing to the top tube, otherwise in excellent condition. - Lasco Alloy Crankset (46/34T).